Museum line in Barcelona (Spain). Tourist line: 55, Tramvía Blau. 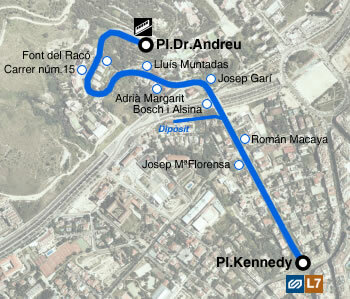 See the route which is 1.2 km long. Railcar: 6, 7, 8, 10, 129. Last updated: December 31st, 2018.